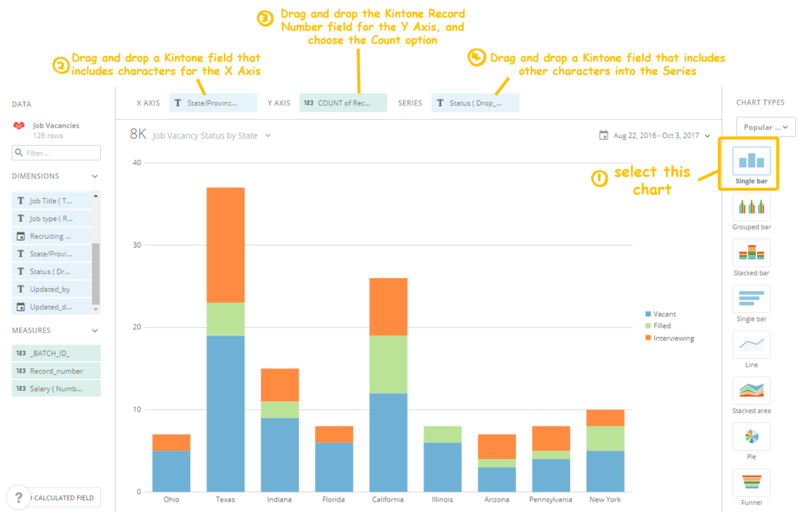 The Kintone Connector for Domo allows Domo to access your Kintone App data and create charts and graphs on the Domo platform. 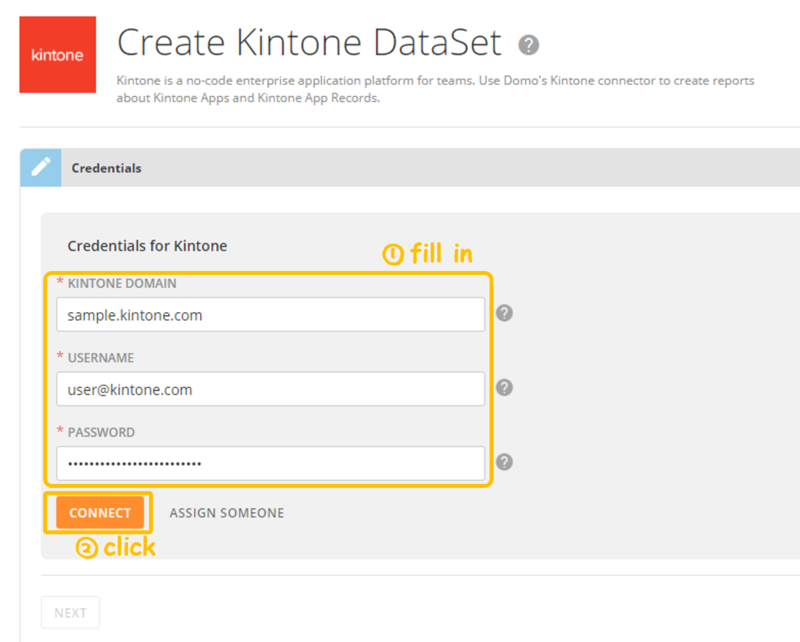 You can also analyze large quantities of data stored in your Kintone Database in an easier way. Log into your Domo instance. 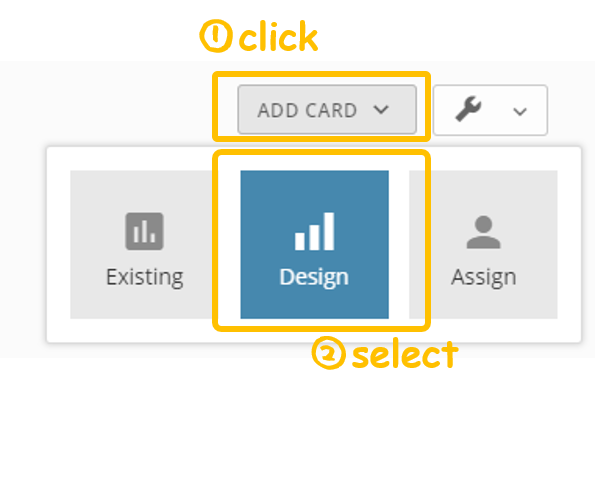 Add a new card and select Design. 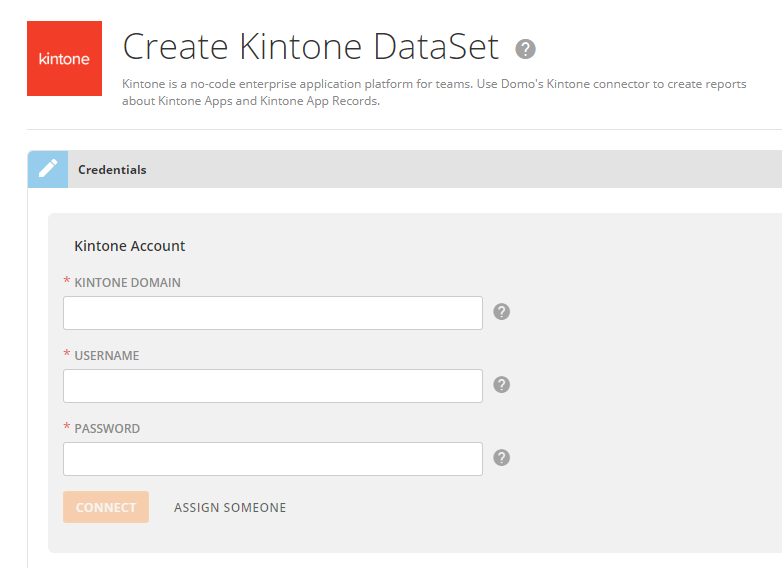 In the Domo Appstore, select the CONNECTORS tab, and search for “kintone” in the search bar. 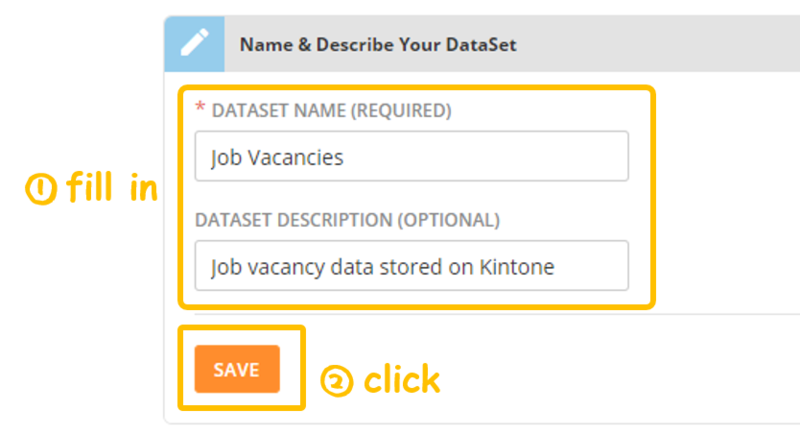 Select the Kintone Connector, and click GET THE DATA. 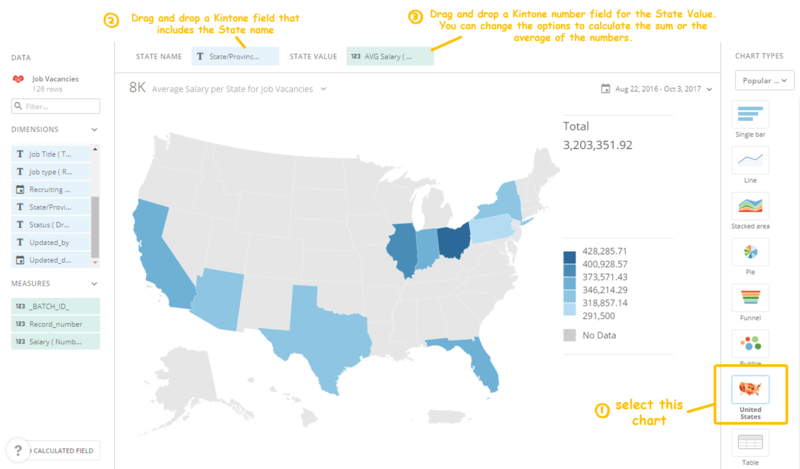 Fill in information related to your Kintone instance. KINTONE DOMAIN This is the domain that you access to log into your Kintone account. 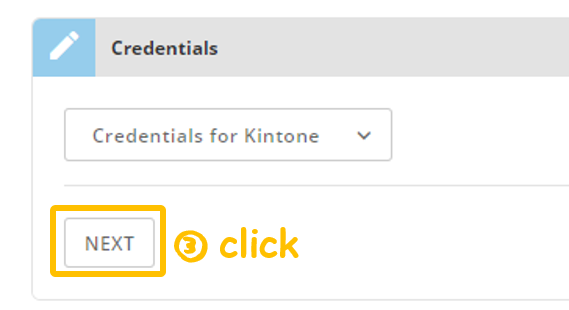 If you have a Kintone instance with the URL https://sample.kintone.com then enter “sample.kintone.com” for this field. USERNAME Enter the login name of a user that can access the Kintone domain. The Kintone Connector will use this account to access your domain. PASSWORD Enter the password for the Kintone account. Once the credentials have been filled in, click CONNECT to test out the connection. If the authentication succeeds, click NEXT. Fill in the details of your Kintone app. 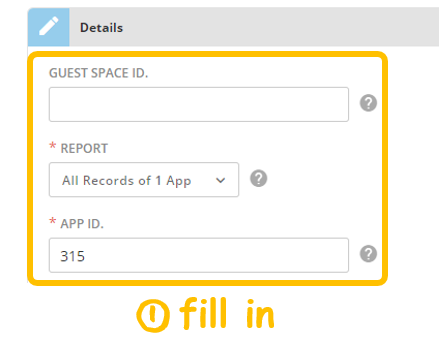 GUEST SPACE ID If your App lies within a Guest Space, enter the Guest Space ID for that app. The Guest Space ID is a number that is included in the URL of the Guest Space. This field can be ignored if you are not using Guest Spaces. 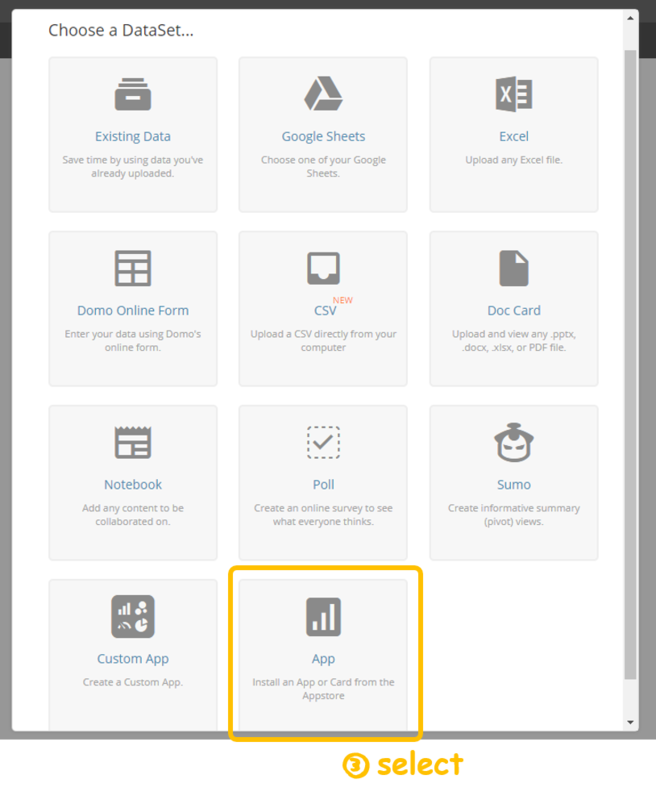 This option creates reports based on general information of all Apps within your Kintone domain. This information includes the App name, App description, related Spaces, App creator and App updater. This report does not include any information contained in the records within the Apps. 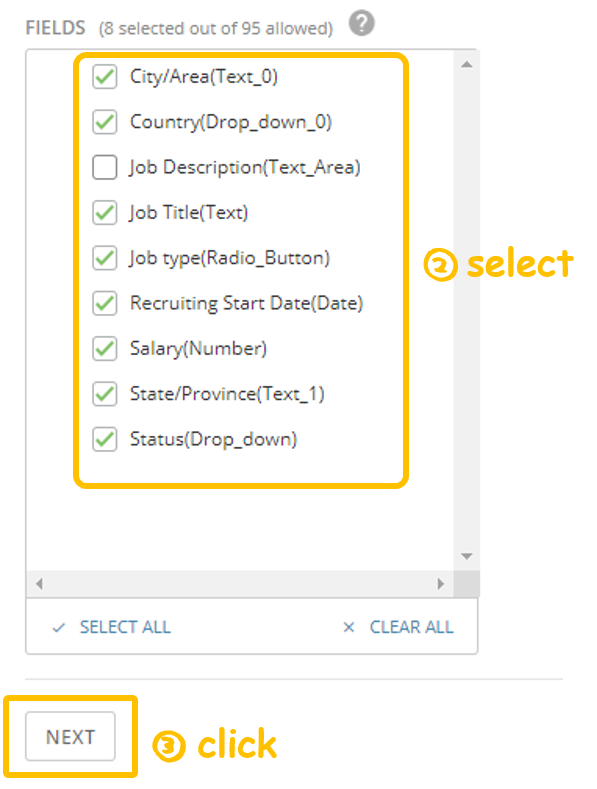 This option creates reports based on all records that exist within a specified App. The records that will be included in the report are limited to the records that the Authenticated user has permission to view. APP ID Enter the App ID of the Kintone App you want to extract data from. You can find the App ID by looking at the URL for that App. Select the fields in the Kintone App that you want to pull into Domo. 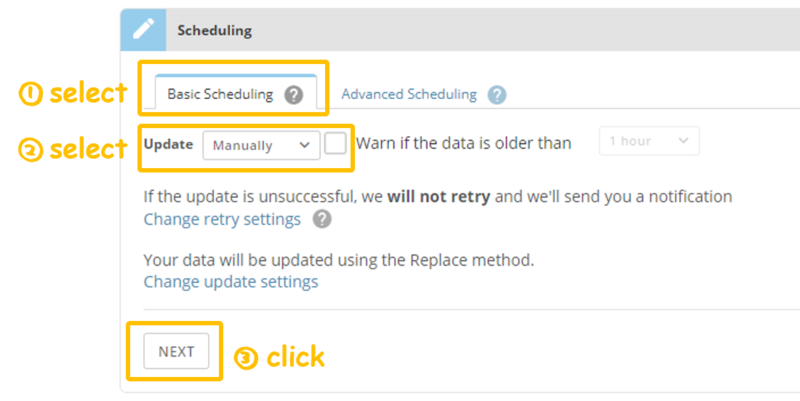 Set how frequently you want Domo to pull in and update data from Kintone. Set a name and description for the DataSet. This will be displayed in Domo.